BBC Radio reached the lowest listening hours in history in 2014, mainly among young listeners. Helen Boaden, Director of BBC Radio, alerts radio industry in every possible forum to the seismic shifts in deep-seated listening behaviour – specially among young people – and the impact of these changes in time spent listening, which has been dropping for years now. Public radio and television organisations such as the Flemish VRT in Belgium, the SVT in Sweden or the BBC itself in the United Kingdom, are setting innovation as a high priority, creating departments intended for experimentation with new content and formats. BBC, SVT and VRT – beside some commercial stations, like Absolute Radio – are exceptions though, in a radio industry in which companies seem to be more concerned about extending their privileged position as holders of scarce – but also expiring – FM licenses. Radio stations with a young format defend their ranking in a national or regional market by positioning themselves as the station that discovers new artists, creates music hits and surprises with bold content. In short, the trendy station. The battle for the dominant position in this format is, generally, between two or three stations maximum. However, young listeners spend less and less time with these stations nowadays. Radio shares its audience with music streaming services that break the linearity of traditional radio. The core value of services such as Spotify or Deezer, is the personalisation. They have no need – neither capacity, probably – to generate their own content. Even Snapchat steals use hours from radio, providing the young audience with branded content which is not subordinated to fixed schedules. Both the video from the VRT that I posted above and Helen Boaden mention the subordination of radio to fixed schedules, like the most concerning disarrangement with the new listening behaviours among young ones. Ending linearity by not being live wouldn’t necessarily reduce the ability of radio to create engaging content for the audience. Renouncing live broadcast, or avoiding subordination to specific hourly habits at least, shouldn’t diminish the creativity of professionals or obstruct communicators in radio. The real challenge is breaking the linearity of live broadcast without turning listening into an individual experience, therefore giving up the traditional faculty of radio for generating a powerful community sentiment. Beside personalisation, other advantages of the Spotify model over radio are interactivity and share-ability (specially relevant given the individual nature of its user experience). The goal of this article is not to foresee the success or failure of Apple‘s radio venture. It’s obviously too soon for that. In my humble opinion, Apple is just playing with something new for them, experimenting and learning. Innovation consists in learning. Apple is frequently capable of turning learning into innovation, and innovation into disruption over time. Team of hosts and producers with similar structure to teams in traditional radio. Worth mentioning Zane Lowe, stolen by Apple from BBC Radio 1. And not just the star Zane, but also a bunch of producers from the station based in London. Impressive support from artists. On one hand, iTunes’ dominant position in online music sales translates into endless collaborations from artists with Beats 1 through exclusives and interviews. On the other hand, it’s obvious that we are talking about one of the most powerful and with most resources brands in the world. Apple‘s radio has achieved to fill the schedule with hugely popular names: Elton John, Dr. Dre, Chemical Brothers, Ellie Goulding, Disclosure. In addition to the 24/7 live “always on” broadcast (shows are re-played), Beats 1 started a couple of weeks ago uploading the audio of entire shows, fragments (like interviews) or specific segments (Zane Lowe‘s World Record, for instance). You can access these audios by searching them in Apple Music, or following shows and hosts in Connect. These audio bits can be added to your personal playlists, combining them with songs from your music library (unlimited in Apple Music) or with content from other shows. We have two ways of listening to Beats 1 then: live, or designing our own sequence by collecting bits in playlists. During Beats 1‘s live broadcast we can access, through the metadata on screen and with only one click, to additional content: the discography of the artist that is being played, content uploaded by the artist to Connect or replays from the show currently on air, also available in Connect. As we click, we leave Beats 1 live, but we extend our time spent in the Apple Music ecosystem. We can tell Beats 1 that we like the song being played by clicking on the heart icon. This information will be later used by the smart recommendation service in Apple Music. 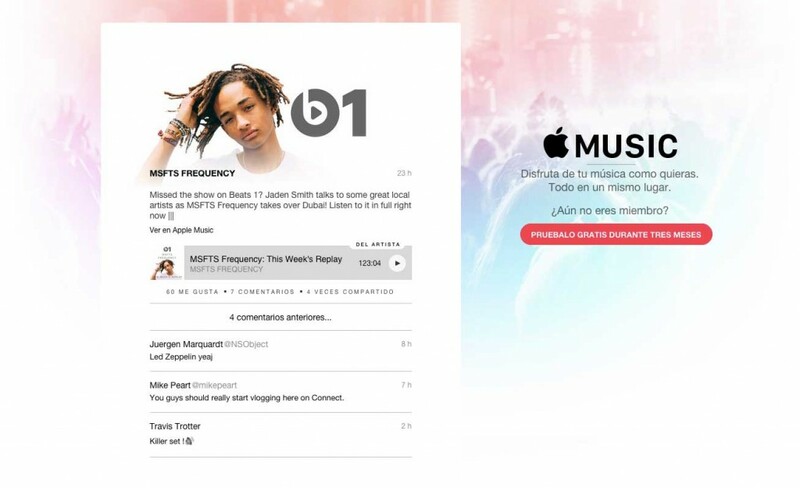 Everything in Apple Music (artists, albums, songs, playlists, Beats 1 shows, hosts, segments, Connect content) is shareable in social networks. Despite the power of their brand, their capacity for innovation and their playful approach to non-linear distribution, Apple has decided not to renounce broadcast model. Some initially expressed their disappointment with the surprisingly non-innovative linearity in Beats 1. We could, also, see wisdom in the decision of the Californian company, not underestimating live broadcasting. 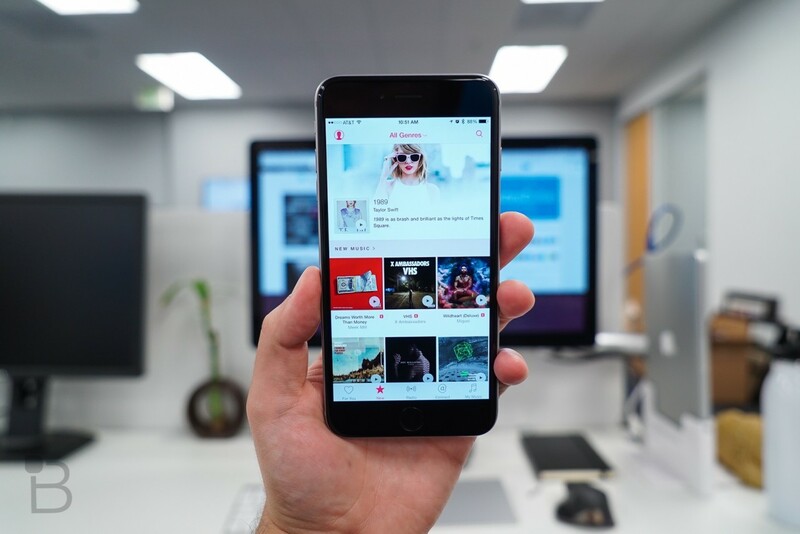 As we have seen, Apple has already started experimenting ways to break linearity and provide the user with multiple interactions during listening on Beats 1 or the Apple Music environment. I mentioned earlier Apple‘s ability to rapidly learn. Something that Zane Lowe proved a few days ago in an interview for Billboard. Just one week was enough for Beats 1 to realise that their music rotation wasn’t right. The listeners were spending longer time listening than expected by the team of the station. Songs were burning fast. Issue found and solved in just one week. As we said in the beginning, a radio station with a young format needs to discover new artists, create hits, be bold, surprising and cool. Apple, with the power of its brand and its learning capability, is in the position to challenge traditional players in the radio industry. Globally. We don’t know which is the optimal non-linear radio model. There’s only one way to find out: experimenting. Previous¿Hay espacio para una radio online global en español?